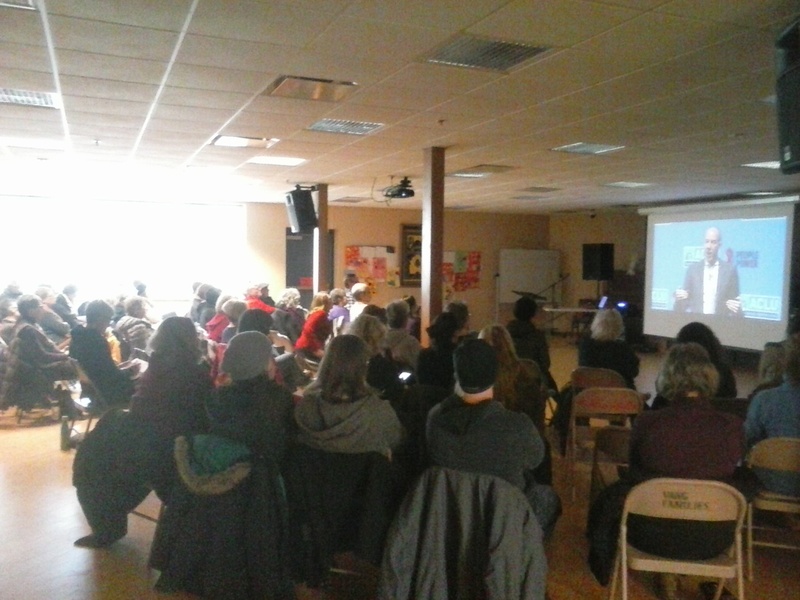 The first La Crosse People Power (ACLU) civil rights protection training held on Saturday, March 11 focused on an overview of our civil rights including those under attack by the current administration, with a specific emphasis on the rights of immigrants. 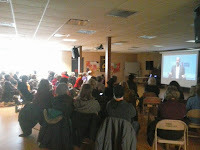 If you missed the meeting, you can view the training video here. The ACLU has produced nine model state and local law enforcement policies and rules that are aimed at legally defending our friends, families and neighbors from the Trump administration's mass deportation agenda; protecting their privacy; helping them obtain redress when abuses and mistakes occur; and helping ensure everyone is protected from discrimination. After the training live stream, the group chose a next step leader to set up a meeting about these model policies with City of La Crosse officials. We will post more about this as soon as details are known. Several groups and individuals are working on assisting immigrants in our area including the La Crosse Immigration Task Force, Catholic Charities, Centro Latino, and the Compassionate Community Faith Alliance. John David, an attorney with Catholic Charities, provided information about their work helping people complete immigration applications. He noted that the Immigrant Legal Resouce Center (ILRC) offers good information about immigrants' rights. He will answer immigration application questions if you email him. There were also people from surrounding areas who were able to connect and start planning for carrying the nine model rules into their communities. Thanks to all who participated! Watch this space for our next step and spread the word about the ACLU and about the PeoplePower civil rights protection initiative. Monday, March 13: The La Crosse Board of Public Works meets at 10 am (sorry, working people!) to discuss issues including possible inclusion of bike accommodations in a repaving of part of Sixth Street, you can meet city council candidates from #4, #7, #8 at a Weigent-Hogan Neighborhood Association event, there is a Ron Kind fundraiser at Four Sisters, and the Ona School Board will meet to discuss, among many other things, their pupil non-discrimination policy. NEW! Thursday, March 16: The Sustainable La Crosse Commission will meet at 4:30. Included in their agenda is a recap of alternative transportation and recycling forums, and discussion of next steps. NEW! Thursday, March 16: La Crosse Citizens Climate Lobby meeting at 6:30 p.m. at 401 West Ave S. They don't have a web page and their FB page is not updated with meeting info, but the climate guest for March is Devashree Saha discusses the decoupling of decarbonization and the economy, and how carbon emissions are declining despite a growing economy. She is a senior policy associate and associate fellow at the Brookings Institution Metropolitan Policy Program. Her research primarily focuses on the intersection of clean energy and economic development policy, including the transition to a clean energy economy. Prior to joining Brookings, Saha worked at the National Governors Association, where her work spanned clean energy, transportation, and land use planning issues. She holds a Ph.D. in public policy from the University of Texas at Austin and a master’s in political science from Purdue University. Email lacrosseccl@gmail.com with any questions.